We’re seeking local businesses and organizations to partner with us in presenting this community tradition. New vendors need to pre-qualify before registration. Email electronic photos of items being sold along with descriptions to fallfest@polk.edu. Once reviewed, the vendor will be notified of the decision via email. Once approved new vendor may register online. 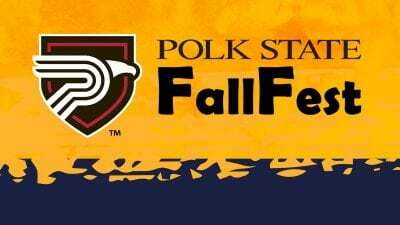 The FallFest office is located in the Polk State Winter Haven Fine Arts Building, room WFA 147A. Craft spaces run from 1 to 181. To help locate these spaces, the campus is divided into three color sections red, blue and green. You might also want to view the Fallfest map and the Winter Haven campus map.